Free People will have you stand out from the crowd with its Holiday 2018 collection. The line focuses on party dresses, cozy sweaters as well as long coats. The sequin embellished Siren and Time to Shinedresses create a festive atmosphere while the Abbey Road duster coat provides winter layering options. So whether going for a night out, or running errands, there’s styles for any occasion. Check out our holiday picks from Free People below, and see more at Nordstrom.com. Stand out in a mid-length striped sweater dress made with long sleeves. This textured sweater comes in a slouchy shape and an open-weave knit. It’s time to shine in a sequin minidress made with a low black. A blossom print decorates this dress made with a thigh-high split. Channel mod vibes in a corduroy coat made in a cedar brown hue. Photographer Paulina Manterys takes inspiration from the work of David Lynch for her latest editorial. Starring model Maria Dębicka, the editorial called ‘Red Call’, appears in L’Officiel Ukraine. Styled by Ellie Łazarczyk, the brunettechannels 1980’s fashion in puffed sleeve dresses, leather boots and metallic jumpsuits. Captured in a red room, Maria looks eerie and glamorous at the same time. Saint Laurent enlists three faces from the world of fashion and music for its spring 2019 campaign. Photographed by David Sims, the black and white images star Amber Valletta, Charlotte Gainsbourg and Rebecca Leigh Longendyke. Styled by Alastair McKimm, the new season spotlights glittery party dresses, band jackets and denim fashion. In addition to the campaign, the brand also unveils a short film where Amber poses to the tunes of Iggy Pop’s ‘The Passenger’. Getting ready to pop the question? You need to be prepared with an engagement ring before you propose. Engagement rings can be very expensive depending on the design and the material used. But since you might have to buy a separate wedding ring for the nuptial rituals, it’s best to look for ways to cut down on the costs when buy the engagement ring without compromising on style and finish. When you are ready to checkout the latest engagement rings UK styles keep these tips in mind to find the perfect ring without overspending. 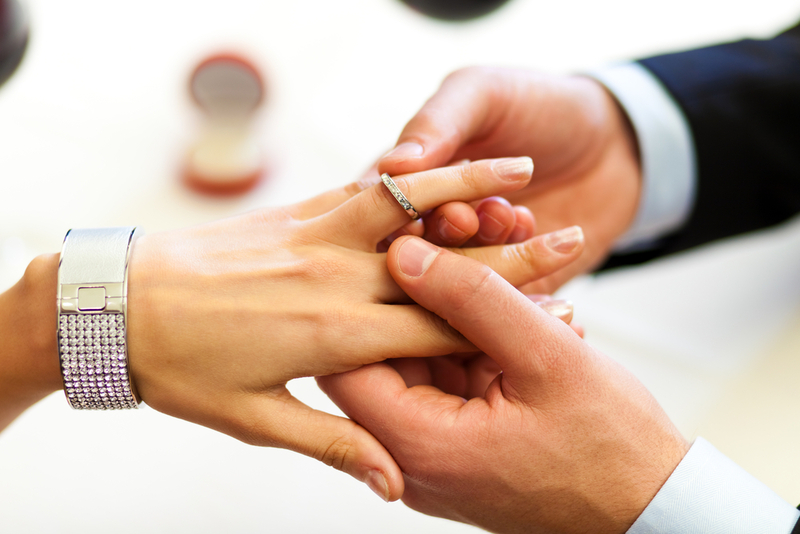 Gold and platinum are expensive metals that can raise the price of the engagement rings. You do not have to lose out on buying a gold engagement ring due to budgetary restraint. Instead of pushing to buy a 22ct or 18ct gold ring you can buy a 9ct gold ring. 9ct gold rings contain 37.5% pure gold in combination with other metals. Often referred to as yellow gold wedding rings, their subtle pale yellow colour actually makes them look more elegant than pure gold rings. If you are open to other metal options, then we encourage you to think beyond gold or gold alloys. Some of the most unique and latest engagement rings UK styles include rings crafted from cobalt and titanium and other offbeat materials. Cobalt and titanium is used to make hypoallergenic jewellery and best of all they are highly affordable. A solitaire ring is highly appealing. But you do not have to spend a fortune buying an enormous solitaire diamond. There are smaller solitaire diamonds that you can invest in when buying an engagement ring. Latest Engagement Rings UK styles use CZ diamonds to reduce the price of the rings. The diamond used in titanium and cobalt rings are CZ diamonds. If you do not want to settle for a smaller diamond, a dazzling cubic zirconia diamondcan be well within budget. Latest Engagement Rings UK styles are moving away from the traditional solitaire diamond ring. You can find other gems like sapphire studding engagement rings. Gems can be avoided altogether by looking for unique designs of rings. Celtic braided rings without any gems are engagement ring designs that are rapidly becoming common. When you have to buy both an engagement ring and a wedding ring you have to budget money for both. Bridal ring sets help reduce the cost of buying the two rings. Bridal ring sets are economic alternatives to buying the rings separately. There are many jewellery stores and jewellers you can go to for the perfect ring. Online jewellery stores can offer Latest Engagement Rings UK styles at affordable prices. Look for hallmarks and certificates to ensure that the ring is made with authentic metals and gems. Buying the ring online can prove to be cheaper due to competitive pricing. While the price of precious metals and gems can be somewhat standardised, many online stores offer engagement rings at discounts. Browse different jewellery websites that have ongoing clearance sales and discounts. How you present your ring can be as important as the ring itself. Since the engagement ring might be retired into a ring box after the wedding, spending money on a custom ring box can be a good idea. When you pop out the custom ring box, it will enhance the appeal of the ring inside the box. If you plan smart, you can find ways of saving money on Latest Engagement Rings UK styles.